Eviction laws in Tennessee can vary by county, but the Tennessee Uniform Residential Landlord and Tenant Act regulates the legal relationship between a property owner and renter in multiple counties in the state. When property owners fail to follow the laws regarding evictions, the renter can then sue for his damages. The act applies to counties with 68,000 or more residents, according to the Tennessee Consumer Affairs Division. In the state of Tennessee, your landlord is still required to provide you with an eviction notice even if you did not sign a formal lease. Landlords in Tennessee must follow the eviction process in their county, even if the tenant didn't sign formally sign a lease. When tenants pay rent weekly or monthly, a tenancy is established by proxy between the landlord and tenant even without a written contract. Landlords may not maliciously nor willfully discontinue services such as electricity or water to the residence to force tenants to vacate. 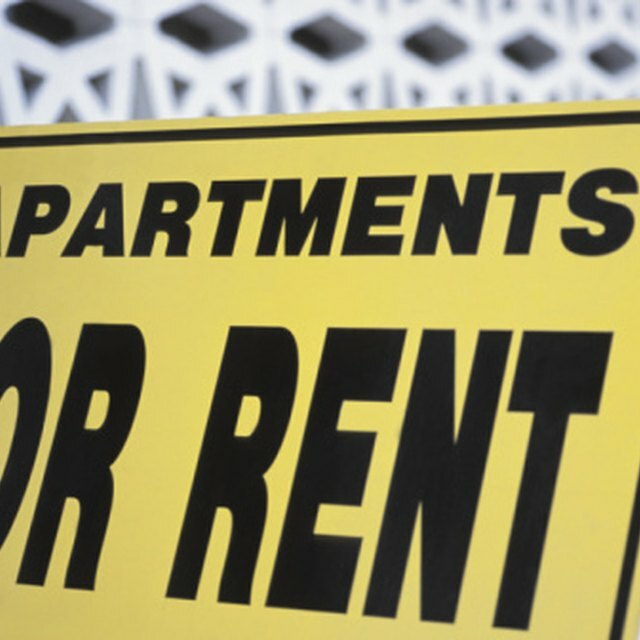 If they do, it is then considered an attempt at illegal eviction, according to the Tennessee Uniform Landlord and Tenant Act and the tenant may sue the landlord for damages as well as his attorney’s fees. The notice to vacate is the first step in the eviction process. Landlords provide notice to the tenant to either correct a violation or pay the delinquent rent. The amount of notice the landlord must give to a tenant depends on the terms of the tenancy. For example, to end a monthly tenancy without a lease, the landlord must give a 30-day notice to vacate. If tenants pay weekly, the landlord must give a 10-day notice. The act allows landlords to give a three-day notice if tenants commit a violent or dangerous act against others on the property. Landlords must give a 14-day notice for failure to pay rent. Filing an eviction with the court is the next step if tenants fail to vacate the property or correct a violation. In Tennessee, landlords may sue for eviction in the General Sessions Court. The court hearing allows the tenant and landlord to state their case before the court. A judge makes a decision regarding possession of the property. The landlord and tenant have 10 days to appeal the decision of the court. If 10 days pass after a court judgment and the tenant hasn't vacated, the landlord must request that the sheriff remove the tenant physically from the property. Tennessee does not allow landlords to physically remove the tenant.